One of the most common beauty-related questions I hear from women is whether or not they need to have solely high-end products in order to achieve a beautiful makeup look. My answer to that? Absolutely not! There is no need to spend hundreds of dollars on an entire collection of expensive, brand name makeup when there are products in drugstores that create an equally beautiful finish. However, over the years I have discovered, through trial and error, products from drugstores that give department store products a run for their money. Let’s start off with the products from more affordable brands that I actually prefer to their name-brand counterparts. First and foremost, I always purchase my mascara from the drugstore. Not only is it a product that dries out incredibly quickly due to how often you open it, but it is also unsanitary to use the same tube of mascara for more than three months, as it can transfer bacteria to your eyes and actually cause an infection. 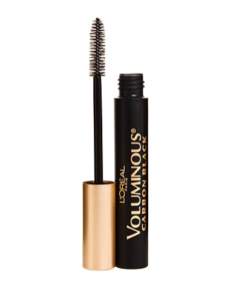 Additionally, I have also found that L’Oreal makes the best mascara (and mascara primer) that I have ever used: it gives volume and definition without being too clumpy or spidery-looking. In keeping with eye products that I prefer from the drugstore, eyeliner is another product that I find is not worth the splurge. 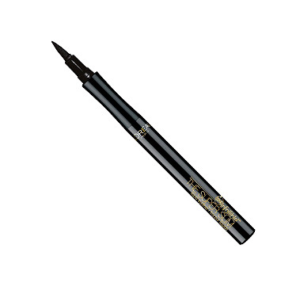 L’Oreal makes a beautiful liquid liner, both in a felt tip form and a pen, that is super pigmented and stays put all day. If you are more of a gel-liner gal, Maybelline’s Eye Studio Lasting Drama eyeliner is a cult classic, and has been deemed YouTube mogul Jaclyn Hill’s favorite black eyeliner! If that isn’t enough to convince you, I don’t know what is. If you have to splurge on one thing, foundation is absolutely what you should go for. It is imperative to find a formula that works with your skin type and that matches your skin tone. I cannot stress those last points enough. Because foundation is a product that sits directly on your skin, (though I encourage you to wear a primer or moisturizer underneath) you want to make sure it has ingredients in it that are good for your skin and won’t cause irritation or breakouts. I’ve found that for day-to-day wear, the BareMinerals original powder foundation offers a great medium coverage, and gives a natural finish. 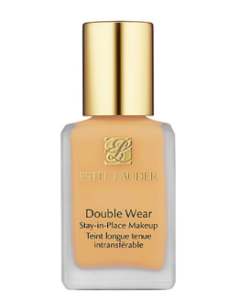 For days when I have business meetings, a photoshoot, or when I want to opt for a more full-coverage look, Estee Lauder’s Double Wear foundation has never let me down. As for concealer, I say save! There are so many drugstore brands that are now offering creamy, lightweight, yet pigmented concealers that give department store brands a run for their money. I especially love the L’Oreal True Match concealer because its paintbrush-esque wand makes application effortless, and its consistency is perfect for covering blemishes without looking crackley or cakey. 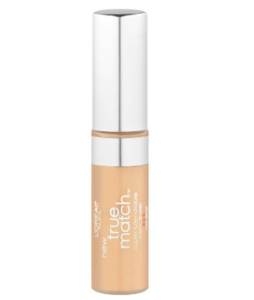 Truth be told, this concealer is good enough to be used instead of foundation on lazy makeup days. Blush is something I would highly recommend splurging the money on. 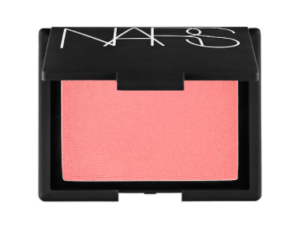 Especially with brands like NARS, the pigmentation in their blushes is so intense that the tiniest bit will go a long way, so one blush lasts a long time. It is also a product that can make the biggest difference in your makeup, and really bring color and life to your face. One of my ultimate favorites from NARS is Orgasim (pictured to the left) – it is an iconic classic, and its peachy pink hue looks beautiful with a variety of skin tones. Finding a lipstick or lip gloss that stays on my lips for more than a few hours without fading or feathering is nearly impossible, and for that reason I say don’t splurge on it. Not only do I find that the quality of drugstore brand lip products, especially NYX and Revlon, is on par with products you would find at Sephora. Their color selections are incredible, and many drugstore brands actually have exact dupes for their more expensive counterparts. 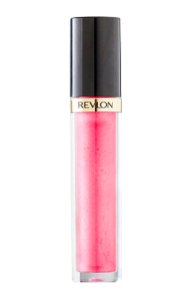 However, I will say that if there is a certain color you fall in love with (in my case NARS’ Turkish Delight gloss) splurging for that one item is totally reasonable. Though drugstore brands are beginning to step up their game in the eyeshadow department, I would still recommend to splurge at least a little bit on eyeshadow. With the slightly higher price tag comes more pigmented shadows, better ingredients, and better color selections. Matte shades are hard to find in the drugstore, due to the fact that they have so much talc, which makes them less pigmented and more patchy looking. 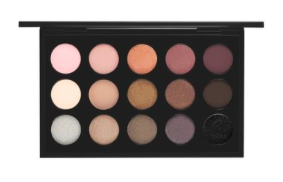 MAC Cosmetics eyeshadows, like this palette, are a great alternative if you’re looking for good quality eyeshadow but don’t want to quite pay department store prices. When it comes to face powder, I tend to reach for a translucent one to set my foundation and control oil on my face throughout the day. 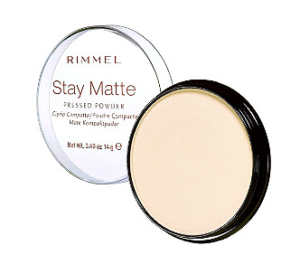 After I came across Rimmel’s Stay Matte Powder, I fell in love. Not only does it keep my makeup looking fresh all day long, it is trans- lucent which means I can use whether I’m pale or tan, and the best part? It’s less than FOUR DOLLARS. For the price point and the quality of it, you can’t get much better than that. As of yet, I have not found a product that is able to match up to the quality and lasting power of Urban Decay’s All Nighter setting spray. No product is able to reduce the powdery or cakey appearance of my makeup, or make my makeup last as long as it does with All Nighter. Urban Decay offers other versions of the spray that cater to both oily and dry skin types: simply put, they’re just the best on the market. I will be honest when it comes to this- I’m not a crazy bronzer person. Some people love it, but it is something that I feel is to enhance foundation and blush, not to help you hide the fact that your foundation is perhaps a shade too light. Because of this, I opt to save. 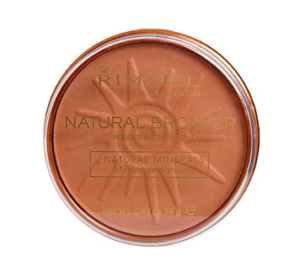 However, when I do wear bronzer, Rimmel’s Sunny bronzer is a great neutral shade that doesn’t appear muddy on my skin (as some bronzers can do) and it has just the right amount of pigmentation: not too much, not too little. 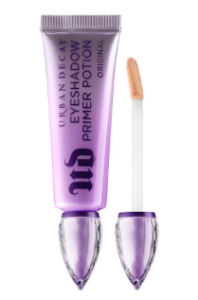 Another market that Urban Decay has cornered is eye primer. Their legendary Primer Potion didn’t achieve that status without good reason. I feel that by investing in an eye primer, it can make all the difference in how pigmented eyeshadow applies, how it blends, and how long it lasts on the eye, even if you use less expensive eyeshadow. I’ve found that when I don’t use primer, I also tend to use double or even triple the amount of eyeshadow I would ordinarily use in order to achieve a similar effect. 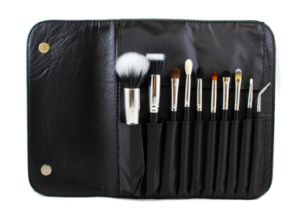 The last item I would highly, highly, highly encourage you to splurge on (at least a little bit) are brushes. No matter if you use entirely Tom Ford or entirely Maybelline, brushes can, and will, make or break your makeup look. Also, if you make sure to clean them regularly, a set of makeup brushes will last you several years. Although looking at a set of brushes can appear daunting (some of my favorites are from Sigma), if you look at the price breakdown for each brush, sets often offer a great deal. However, if you are looking for a few brushes to save on, the ECO brand, which I find at my local Ulta, are incredibly soft and apply makeup well. I hope this post is helpful, and I can’t wait to hear what your favorite beauty items are!